Jacquez Harrison was the first to shout the words. Those three words came from a place deeper than he knew. The boldness. The courage. The Daring. Those words suddenly were who he was; what he was about. It was like Gauntlet 18 — the whole of his life so far — was leading up to this point. 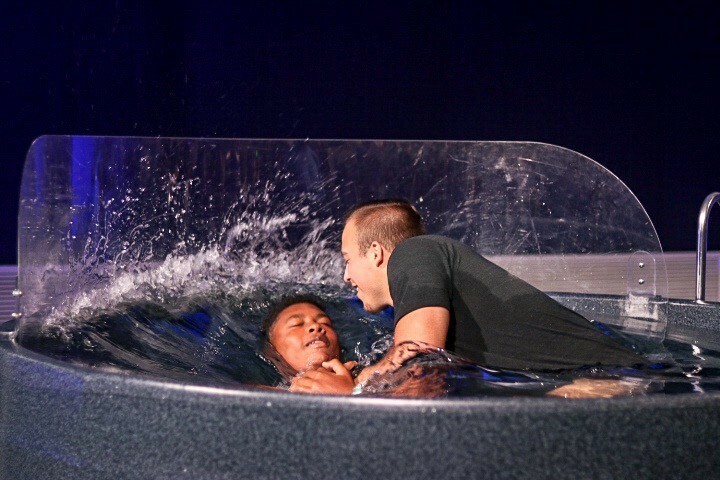 His Gauntlet room leader, Charlie Metcalfe, had texted every Sunday and Wednesday for two years to make sure Jacquez got to church and Fuse and stayed in community — even as he was getting dragged down by the wrong crowd; partying, smoking weed, and drinking. His Gauntlet spot, which included some financial assistance, came open just a week before the summer camp kicked off. A new season of life as a junior at Walhalla High School was just a few weeks away. WATCH: How Charlie Metcalfe helped a spiritual brother shine in darkness. Here he was at Gauntlet, in a crowd of 5,000, hearing Clayton King speaking to students about his own experience changing schools as a teenager and what it meant to follow Jesus publicly. The social cost. The opportunity. Jacquez had made a decision for Jesus in 8th grade, but he was just trying to fit in. 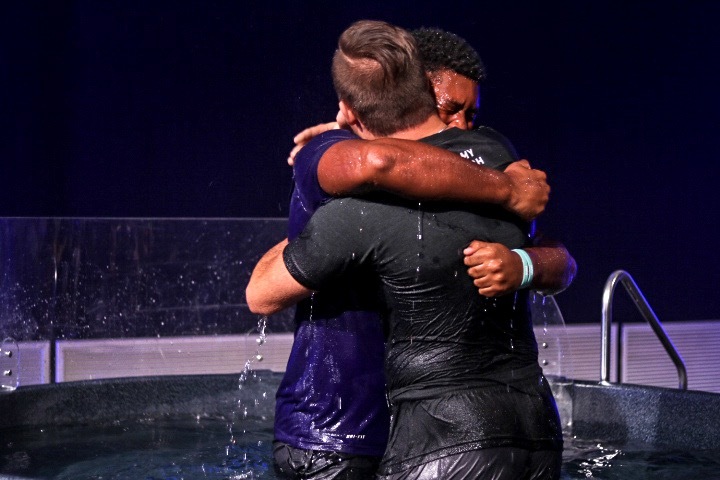 Now Jacquez was ready to connect with Jesus at an emotional level and create a relationship with him. 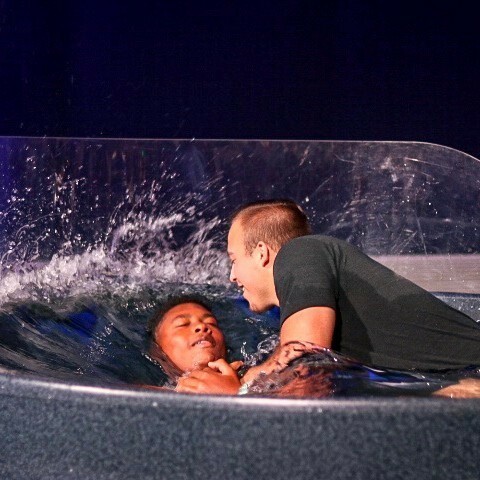 And Jacquez saw that he could be a better role model, a better son, and lead his family to Christ. "Charlie told me it would be the best week of my life, and he was right!" 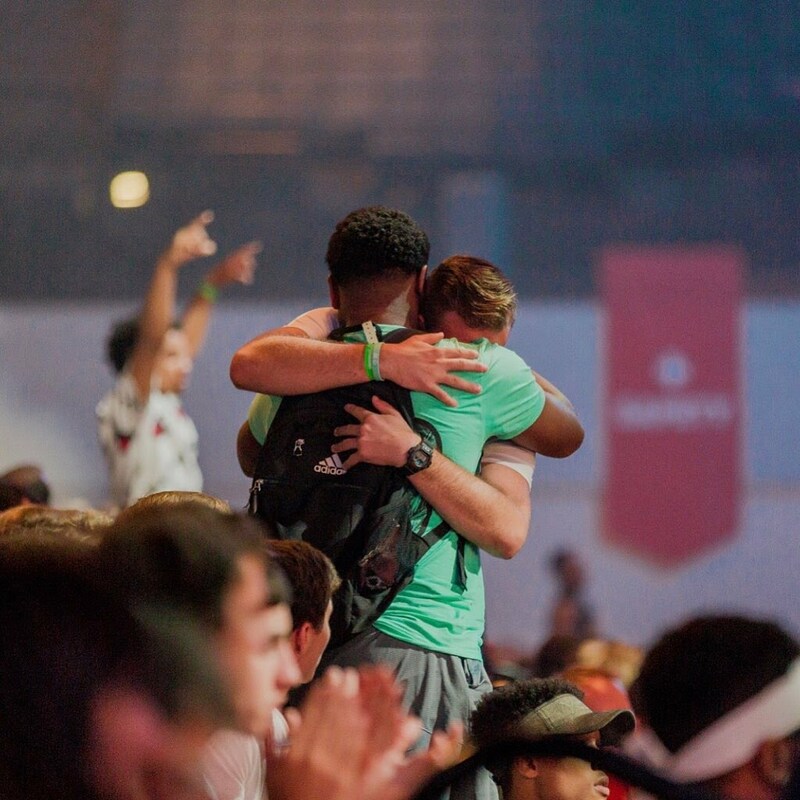 Jacquez had come to Gauntlet wanting God — maybe even daring God — to do something powerful in his life. 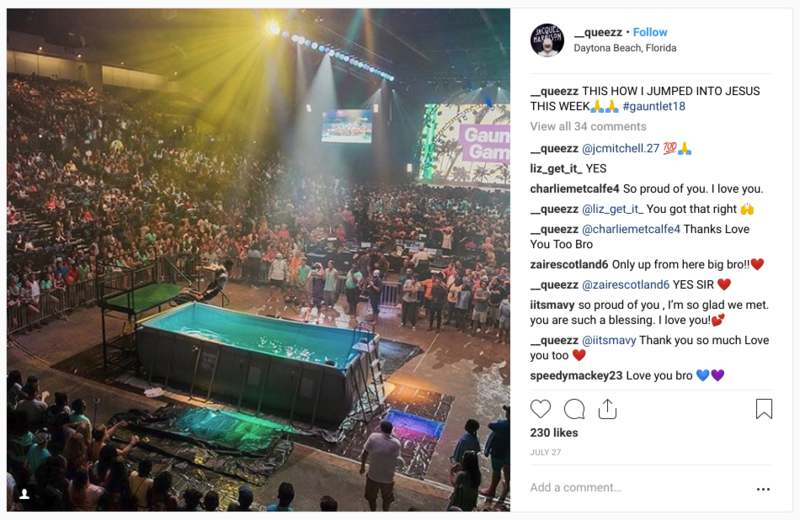 On his Instagram, Jacquez compared his decision to declare “Jesus is Lord” to the dive he took in the Gauntlet Games’ bellyflop contest the same night he was saved. “This was my first Gauntlet. I don't plan on missing another one,” he says. “Charlie told me it would be the best week of my life, and he was right!" As Jacquez steps into a new season on the Walhalla varsity football team as a middle linebacker, he thanks God for his athletic ability, but he also knows football is just something he does. Not who he is. “I’m ready for the journey and spreading the word and getting other people to the point of feeling the freedom I’m feeling now: Brand new,” Jacquez says. 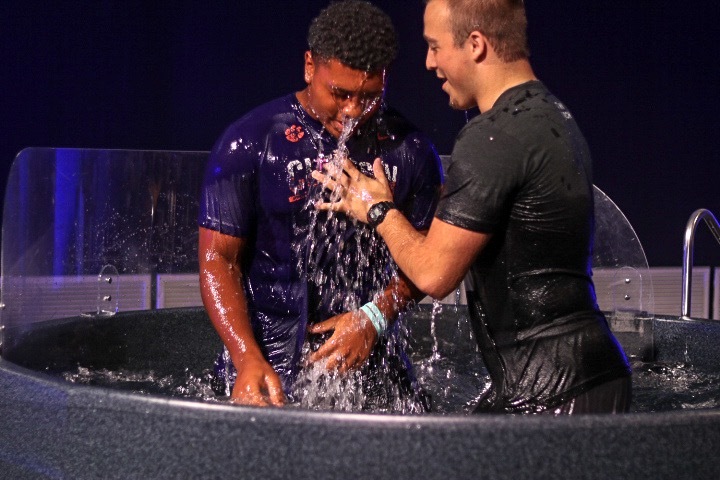 Charlie baptized Jacquez at NewSpring Clemson on the Sunday after their return from Daytona Beach. Like what you just read? 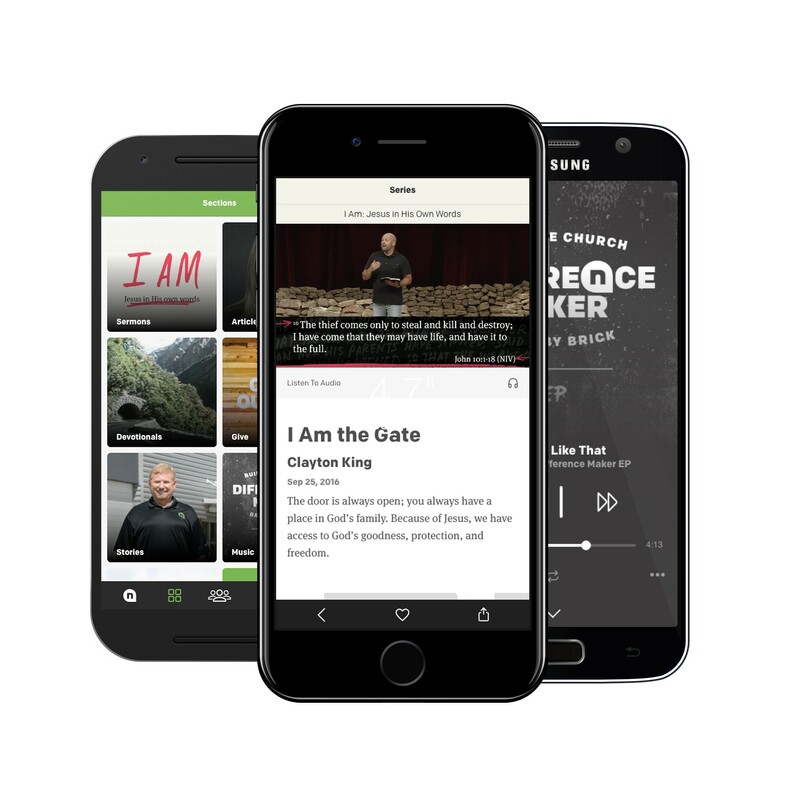 Download the NewSpring App for an even better reading experience. You can read, share, and bookmark your favorites quickly and easily from your phone.